Have you ever wondered what are the differences between all those confusing perfume terms? 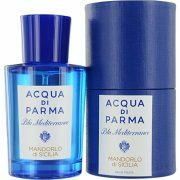 Perfume, Eau De Toilette, Cologne, Eau De Cologne, top notes, base notes, and more. It can be overwhelming, but never fear, we'll break it down for you. Perhaps the most confusing issue is knowing what makes a perfume different from an eau de toilette or cologne. In fact, even perfumers differ on the differences between these terms. But basically each of these terms refer to the strength of the solvent from which the fragrance is made. Let's use Chanel No. 5 as an example. 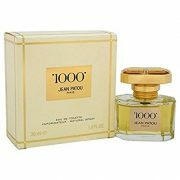 You can purchase this fragrance as a Parfume, Eau Parfume, or Eau de Toilette (all French spellings). Each version is made from the same ingredients so they all smell the same. The difference is the concentration of the ingredients mixed into the solvent. A perfume will have a higher concentration of the aromatic compounds compared to the more diluted aromatics in the toilette. But wait, let's confuse you a bit more and throw in what make an eau de cologne or cologne. 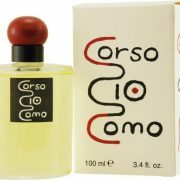 Originally the term “cologne” was used in reference to a citrus fragrance the was made in Cologne, Germany. These fragrances were unique in that their citrus scents made them a unisex fragrance. Later perfumers saw a market to create an even further diluted fragrance than an eau de toilette for the customer with a lower income. This version of the fragrance became known as an eau de cologne and typically has only a 3% aromatic compound. Then perfumers realized that men wanted a fragrance term separate from what women wore. So the word cologne came to be used as the fragrance that a man wears even though a men's and women's fragrance are technically both the same thing. The concentration of a “men's cologne” could range from a perfume to an eau de toilette, you would have to read the packaging to find out the aromatic compound strength. Confusing right, but there's more. Gone are the days of simple, single note fragrances. When Coco Chanel introduced the world to Chanel No.5, perfumers learned the secret to making more complex fragrances with top, middle, and base notes. So what are these “fragrance notes”? The notes represent the different levels of scent a fragrance will have starting with the initial scent when it is first applied (top note), followed by the way it smells once it has settled on the wearer for a bit (middle note), and finally the way it smells after evaporating for quite some time (the base note). These notes then fit into a fragrance family that describes the overall harmony of the notes combined. Floral: This can be of a single flower (which will still have other notes that carry through) such as Chloe by Chloe or a combination of florals like Joy by Jean Patou. Oriental: These fragrances usually have a rich spicy scent to them such as Opium by Yves St Laurent or Tangier Vanille by Aerin. Fresh: This describes fragrances that have a citrus or green herbal scent such as Eternity by Calvin Klein or Dot by Marc Jacobs. Woody: These are very earthy almost smokey scents like Rumba by Balenciaga or Prada Amber by Prada. Chyper: These fragrances are similar to the woody category but have more of a citrus earthy tone like Miss Dior by Dior or Oriens by Van Cleef & Arpels. Gourmand: Think of this as the fragrances you want to eat for dessert, sweet. Examples include Angel by Thierry Mugler and I Am Juicy Couture by Juicy Couture. Fougèr: These are typically men's fragrances that have an earthy lavender scent such as Drakkar Noir by Guy Laroche and Lothiar by Trade Routes. Leather: This is another category mainly found in men's fragrances and includes notes of leather, tobacco, and coffee for example like in Bandit by Robert Piguet or Polo Red by Ralph Lauren. I know, it's a lot. Just remember that what's important when choosing a fragrance isn't so much what the strength of the aromatic compound is, what family it comes from, or what makes up it's note layers, but how wearing it makes you feel. Feel free to take this as a guide the next time you go to a perfume counter and are feeling overwhelmed!